Documents like marriage or birth certificates are extremely important for a person, especially when immigrating to another country. Such documents are being asked for on all important levels of one’s life from taking admission in a school or college or moving to another country or getting citizenship altogether. As much as their worth can’t be denied, another corresponding fact that they should be accurately translated is equally important (whenever required). Why? Because they are your sole identity, no other thing speaks of you as these documents in a foreign country or in front of those not knowing you. A mistake in translation can land you in a pool of troubles while on the contrary an accurate one can help you with the smooth processing of immigration. When immigrating to the UK, you will need to have your personal documents in English. If your documents are in French, Arabic or any other language then you will be asked to get them translated into English. Now while in search of a translation agency, you should look for an agency that offers certified translation services. The certified marriage certificate translation we provide will not only be authentic but would be readily accepted by the immigration office in the UK. 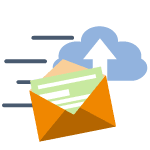 It is because the document would have a stamped attestation by the translator verifying to the fact that he has used the best of his knowledge in translating the document while closely representing the original document in the target text. Do you want such smooth, error-free, outclass services that can help you pass through the immigration process easily? Or for divorce proceedings? Or for renewing you driving license effortlessly? Then you are at the right place. Using our services, you are guaranteed that the translation will be accepted by the Immigration Office. And not only that, we are confident that you will come back again for availing more of our services. Why use us for your marriage certificate translation? As for our prices are concerned, we charge the lowest rates in the market. We know that most service providers out there are fleecing the clients with their ultra-high rates. But here at Dutch Trans, we have set the most affordable rates for our valued clients while not compromising on quality. At only £20 per page, you get your cheap marriage certificate translation in 24 hours or less, guaranteed to be accepted in your immigration case. Our certified marriage certificate translation is of the highest quality even though our prices are low. We are well aware of the requirements and we make sure that the guidelines are strictly followed. That is why we guarantee that our translations will be accepted by the UK Immigration Office. We have served thousands of customers needing translation for immigration, and we have yet to hear that our translations have been rejected. If you need your translation in a rush or during the weekend, we can do it for you. We are available around the clock, even during the weekend, and out turnaround time is 24 hours, sometimes less. 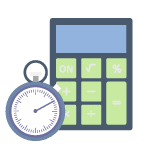 We do not have any extra rush rates, the same prices are applied if you need your translation in a week or by tomorrow no matter what. Need your translation even faster? Get in touch and we will see what we can do for you. If you need the marriage certificate for the UK then it must be translated into English if it is in any other language. Which we at Dutch Trans do for you, according to the strict regulations imposed by the Immigration Office. We make sure to translate the document entirely and directly keeping in mind the minor grammatical requirements such as punctuation, appropriate tenses etc. Because we know that bad translations can get a “not eligible” stamp on it by legal authorities. The translated document matches the visual format of the original document. 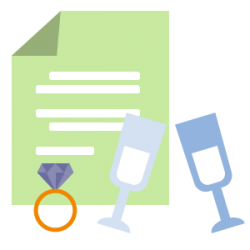 Your certified marriage certificate translation will look exactly like your original document, only translated. After the client approves the translation, we certify it and send the final version to the client. It is essential to understand why marriage certificate translation to English is necessary when a couple decides to seek work, embark on a study course or permanently migrate to the UK. The main reason is that the marriage certificate confirms the relationship between two people. Very often when a visa is applied for, it is because one person is the key or main applicant. Immigration law will dictate precisely who is allowed to accompany the main applicant. 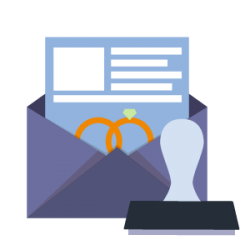 A marriage certificate can most efficiently determine the identity of the spouse of the main applicant. Marriage certificates may also be needed when information is required for registration for taxation, health and welfare benefits which may depend on their calculation of the relationship between the people applying for them. In a small number of cases where traditional marriage ceremonies take place, it may not be a requirement for a formal marriage certificate to be issued. This can cause difficulties if a marriage certificate is required when the couple decides to move to another country in their later life. For that reason, it is advisable when customary or traditional marriage has taken place that a written or printed certificate of some sort verifying the marriage is obtained before attempting to apply for a job, educational course or residence overseas. Clarity of the certificate is the most important thing while sending it out to the translators. If the document is worn out or has something missing in it for some reason, get that straight first. Unclear documents can be troublesome for the translators and an error might arise which in turn will cause you trouble in the future. So it’s better to check your document, take a high quality picture and send it to us. 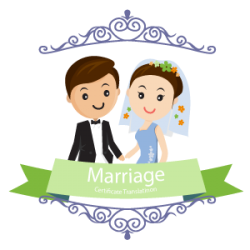 Get a quote for your marriage certificate translation now! In the set price range, we provide proofreading and editing along with official certification. Doesn’t that sound just about right and wonderful? We know it does. So what are you waiting for? 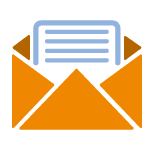 Send us an email, call us or use the live-chat feature for any questions and to ask for your quote. We will send it right away, and if you are happy with it, we can start on with the procedure immediately. Marriage, even the sound of this word turns the atmosphere pink with the air of love and romance. It’s a life changing decision for two people; moreover, it’s a vow to make a family, to be partners for good and for bad. The wedding day itself is the most memorable time in anyone’s life, a moment to cherish forever. At weddings, one thing that should never skip anyone’s mind is the marriage certificate. The very document can save you a lot of trouble in the future. It’s a documented proof that you were married, it was certified and was carried out at a certain venue or date etc. In terms of immigration, a marriage certificate is very important for submission. As for wedding certificate translation, UK has strict rules. Only a company like DutchTrans could fulfill those requirements and provide you with an exceptional service. 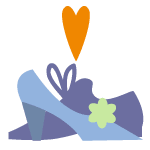 Our 24/7 availability policy is due to the fact that we believe in communication and accessibility for those in need of wedding certificate translation UK. We encourage people to see what our happy clients are saying in their testimonials and become a part of our ever-growing family. Need wedding certificate translation, check out our service ASAP. Through our dedicated approach and years of hard work, we have earned a name in industry. We are so much more than just a translation agency. 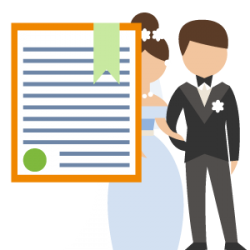 We give 100% assurance that your marriage certificate translation to English is going to be accepted on all governmental and legal levels in the UK, as we are super confident in what we do. Our clients leave satisfied and so will you.